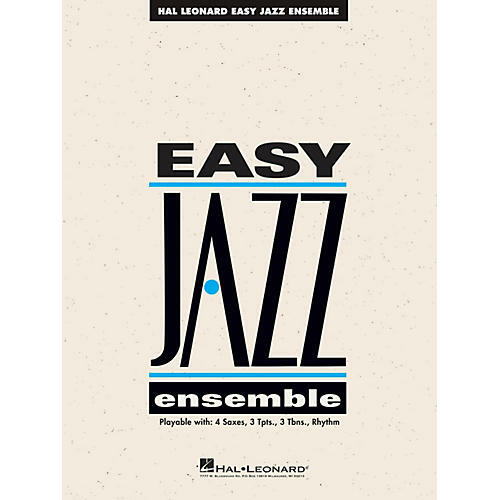 From Hal Leonard's long-standing series for Easy Jazz Ensemble, here is a marvelous collection of 15 outstanding arrangements. From well-known jazz standards to rock classics, this is quality and variety at a great value! Includes: All Blues, All of Me, Beyond the Sea, Boogie Woogie Bugle Boy, Freddie Freeloader, Green Onions, Hey Jude, In a Sentimental Mood, Kansas City, Respect, Saxes with Attitude, Sesame Street Theme, Sidewinder, Tuxedo Junction, and 25 or 6 to 4. Enjoy great flexibility with the Easy Jazz Ensemble series! Playable with 4 saxes, 3 trumpets, 3 trombones and rhythm.